Do you want to receive information about? Over 1,000 EB-5 investors have been denied residency and have lost their capital investment based on not verifying statements made by promoters. Do not rely on any promises made without having them verified by a Registered Investment Advisor. 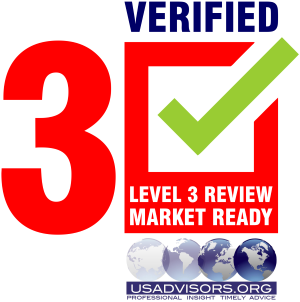 I have worked with USAdvisors for several years and have had the opportunity to interact with their large group of experienced professionals performing project due diligence review. Their analysts and contractor team are a collaborative effort among a large group of experienced professionals preparing Risk and Verification Due Diligence reports. Their reports and comparative analysis spreadsheets contain deep knowledge and expertise and are invaluable to those who need an understanding of complicated offerings. USAdvisors provides in-depth analysis and critical information regarding the most important aspect of the EB-5 industry, selecting an immigration project that meets USCIS adjudication criteria, and provides the best opportunity for return of capital. These reports help take the guess work out and replace that with an expert subjective verification of the offering documents. There are very few in the EB-5 space that provide such critical information. USAdvisors does an excellent job analyzing project strengths, weaknesses and issues and this service is extremely helpful to firms, attorneys and advisors seeking knowledge and understanding of each project’s risks and issues. U.S. Advisors evaluate projects based on their merits and their reports are prepared by an independent registered investment advisory firm and group of highly trained, experienced and knowledgeable professionals. "EB5Projects.com is truly a one stop site for an investor. It has a wealth of accurate, diverse, pertinent and impartial inputs. I wish this excellent resource was available when we were searching for our daughter’s EB-5 investment"